The Senate failed on Tuesday to move forward with its revised plan to overhaul the U.S. Postal Service, delaying a committee vote after a series of potential amendments threatened to derail the bill. The most significant sticking point during the Homeland Security and Governmental Affairs Committee markup arose when lawmakers discussed how the postal bill -- introduced by Sens. Tom Carper, D-Del., and Tom-Coburn, R-Okla., the respective chairman and ranking member of the committee -- would deal with postal rates in the future. 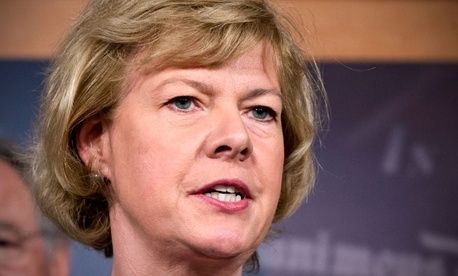 While the Carper-Coburn bill would keep in place the recent emergency rate hike and allow USPS to determine its own pricing starting in 2017, Sen. Tammy Baldwin, D-Wis., led the charge on behalf of several Democrats who believe the agency should retain tighter oversight of its pricing structures. Baldwin offered an amendment that would keep the rate increase -- currently being challenged in court by a coalition in the mailing industry -- but strip away the ability of the Postal Service’s Board of Governors to overrule its regulatory body starting in 2017, a provision in the underlying bill. In promoting her amendment, Baldwin said “no public or quasi-public entity, especially one with a monopoly” should be able to set its own prices without strict oversight. The Postal Regulatory Commission currently provides that oversight. In response to the amendment, which had the backing of Sen. Claire McCaskill, D-Mo., and other committee Democrats, Carper called for an “audible” compromise, which would keep the exigency rate in place and prohibit the Postal Service from increasing its prices by more than the rate of inflation after 2016. After huddling with her colleagues to discuss the proposal, Baldwin said she would need to see the amendment in writing and expressed frustration that her earlier attempts to reach a compromise in closed-door negotiations were ignored. The senators agreed to table the discussion until aides could draw up official language for the amendment. The committee declined to include an amendment provided by Sen. John McCain, R-Ariz., which would have enabled the Postal Service to eliminate Saturday mail delivery immediately. As currently written, the bill would allow USPS to switch to five-day mail delivery only after the agency experienced four consecutive quarters with mail volume at less than 140 billion pieces. USPS has estimated this trigger would not be met until around 2018. McCain said this created an unfair burden for the agency, which has argued that it can save $2 billion annually by not delivering mail on Saturdays. Most Republicans supported the measure, though Coburn voted against it because he believed the overall bill would fail if it included McCain’s language. The committee adopted several amendments to the bill before deciding to continue with the markup on another day, still to be determined. McCaskill and Sen. Mike Enzi, R-Wyo., introduced separate amendments that would prohibit the Postal Service from closing post offices, both of which were approved. The panel accepted amendments from Sen. Mark Pryor, D-Ark., which would require USPS to use more natural gas and propane in its trucks and ensure those who get to-the-door delivery because of physical hardships will not be charged any fees. A proposal from Sen. Carl Levin, D-Mich., to ease congressional oversight of postal activity was adopted, while an amendment from Sen. Jon Tester, D-Mont., to remove a provision that would reduce benefits provided to some federal employees receiving workers’ compensation was rejected. The rate-setting debate, as well as an amendment from Sen. Rand Paul, R-Ky., to allow customers to bring concealed firearms into post offices and any other proposals will be picked up when the markup resumes in the near future.